Applying a conditioning treatment before cleansing to add moisture to chemically-treated or natural hair. The conditioning treatment will be rinsed out, but it provides some protection to strands prior to the manipulation of cleansing. Natural oils or conditioner can be used as a pre-poo. Or a homemade conditioning cocktail can be made by mixing together favorite natural oils, conditioners, and ingredients found in the kitchen like honey, yogurt, avocado or coconut milk. I hadn't heard about pre-pooing until I began my healthy hair journey and was researching tips on blogs and vlogs. When I first started pre-pooing I was using natural oils like olive oil and rinse out conditioners by either applying them separately or mixing them together and applying the mix to my hair. Since I started pre-pooing I've kept it a key step in my wash day. The few times I haven't pre-pooed I've noticed a difference in how my hair reacts and feels during cleansing and afterward. 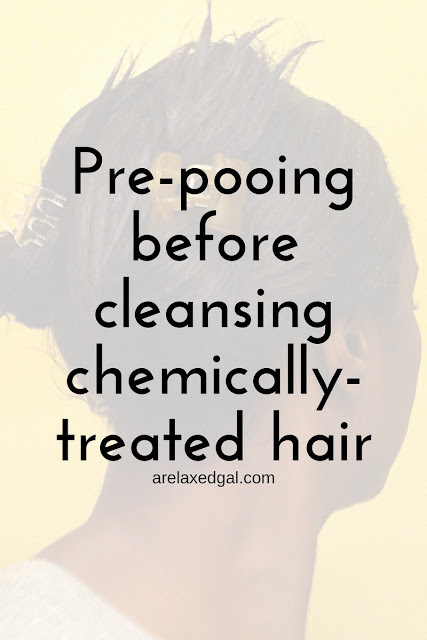 When I pre-poo I'm able to fully detangle my relaxed hair, it feels more moisturized during and after cleansing and keeps that feeling longer between my wash days. 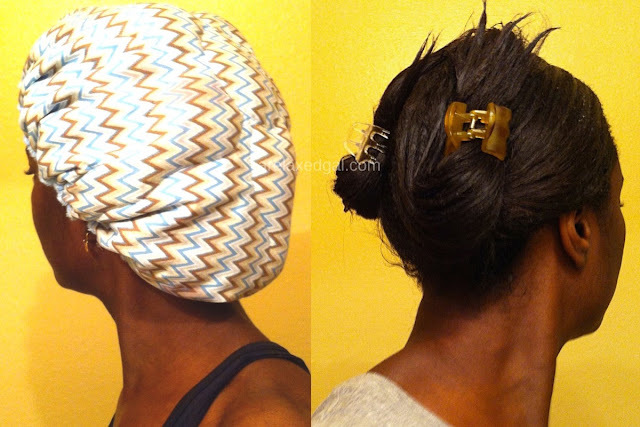 There have been a few times where I kept the product on overnight, but most times I pre-poo for an hour or so and may sit under my hooded dryer or use my Hot Head Microwavable Deep Conditioning Cap to get the most from the pre-poo. I love using coconut oil to pre poo, I use both oil and conditioner if my hair feels extra dry. Thanks for sharing Candice! Do you heat up your coconut oil when pre-pooing with it? I usually use argan oil and a moisturizing conditioner. What brand conditioner do you use?